Amazing! Can I just say that my jaw dropped when I saw this photo!? First, I would have loved to have been on the boat with ya’ll. 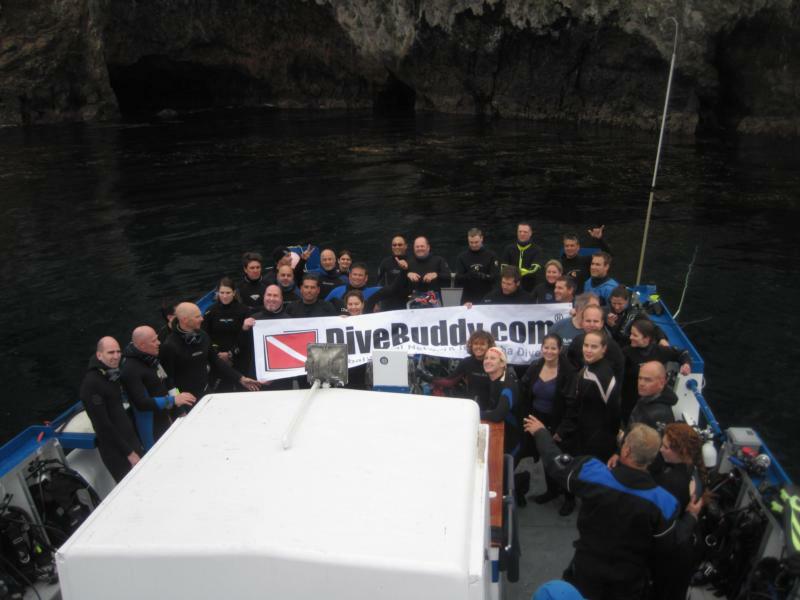 Second, look at that big group supporting Divebuddy! Who’s responsible for bringing the banner along? THANK YOU! That was a great day of diving. Thanks to all who made it memorable. Just Bought Boat and need SoCal diver buddies.